Spier is home to a diverse bunch of passionate people, doing what they love, and committed to making a difference every day. 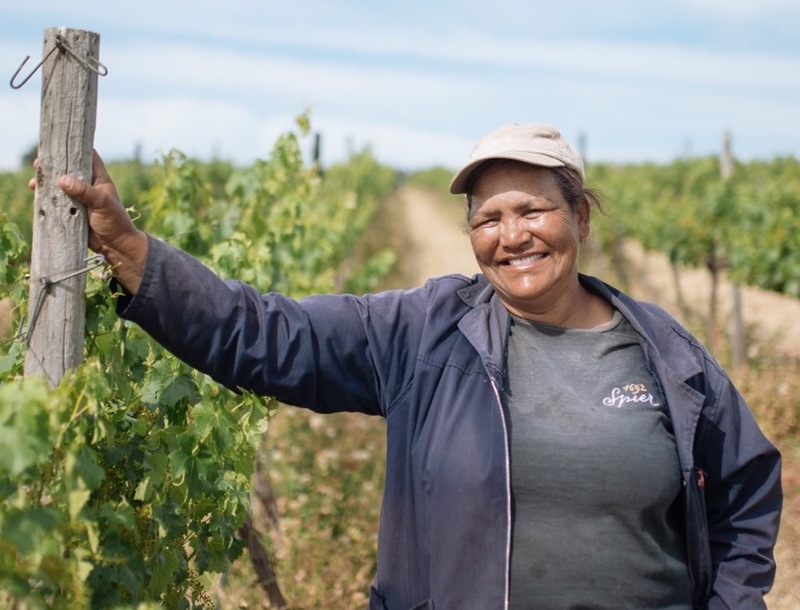 Alfrieda Hanse is a farm supervisor at Spier’s Nooitgedacht farm near Paarl. She grew up in the Northern Cape and has been employed by Spier for almost 17 years. “I’m good at training people, and I’m also good at listening,” she says. I love nurturing young vines the most. Working for Spier is a great pleasure because the company knows your needs and it helps to meet these. For example, when I moved in, they provided tiling for the floor of our houses. They’ve also helped expand the houses on the farm when we needed more space. I’m good at training people, and I’m also good at listening. I want everyone to be happy, and I always ask if I think something’s wrong so that we can resolve the issue. We’re very green here. We recycle as much rubbish (including plastic, glass and paper) as we can, and keep things as neat as possible. How do you make a positive difference to your community? The staff at Nooitgedacht help each other in whatever way we can. And on people’s birthdays, we pool money together to give each other presents. If you want to succeed at your work, do it properly, listen and learn. I clean, bake cakes and tarts, and play with my grandchildren. I love entertaining people. I also have a little shop at my house where I sell chips and sweets, that sort of thing. Summer – because this is when you see your hard work come to fruition. The grapes that you’ve spent months tending to, are now ready to be harvested. People here have a great sense of humour. There is lots of joking.